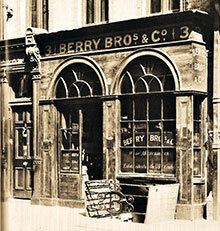 The House initiates a historic partnership that will last nearly a hundred years with the prestigious London wine merchant Berry Bros. & Rudd already more than 200 years-old. Maison BINET launches for Berry Bros. & Rudd various tailored dedicated cuvées including the high-class “L’Empereur Champagne”. At the same time… Pierre and Marie Curie, double Nobel Prize Laureates in Physics and in Chemistry, isolate the radioactive element radium chloride (April 20).